If you just said: What the hell is that? Then, this article's for you. 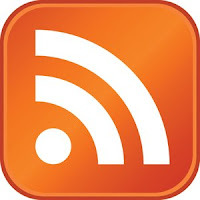 In plain English an RSS reader is your inbox to the web. When you want to see if you have new email - do you call each of your friends up and say "Do you have anything to tell me?". Of course you don't, you just check your email to see if there are any new messages, right? I use Google Reader, but you can check out this list from LifeHacker and choose the best one for you.